Scope R5D 모델은 주행 스피드를 고속으로 올리고 그 속도를 유지하는 것을 주요 목적으로 개발된 모델이다. 26.3 mm 폭과 55 mm 높이는 탁월한 공기 역학 성능으로 상당한 힘을 절약하게 해준다. 또한, 매우 견고한 특성은 한계점까지 전속력을 내는 sprints에 적합하다. 일반적인 생각과 달리 55mm 림 높이에도 불구하고 U-Shaped Rim 덕분에 R5D 모델은 측풍에서도 민감하지 않다. 뛰어난 외관 디자인으로 시선을 사로잡는 Centerlock 방식의 Disc Brake용 모델이다. 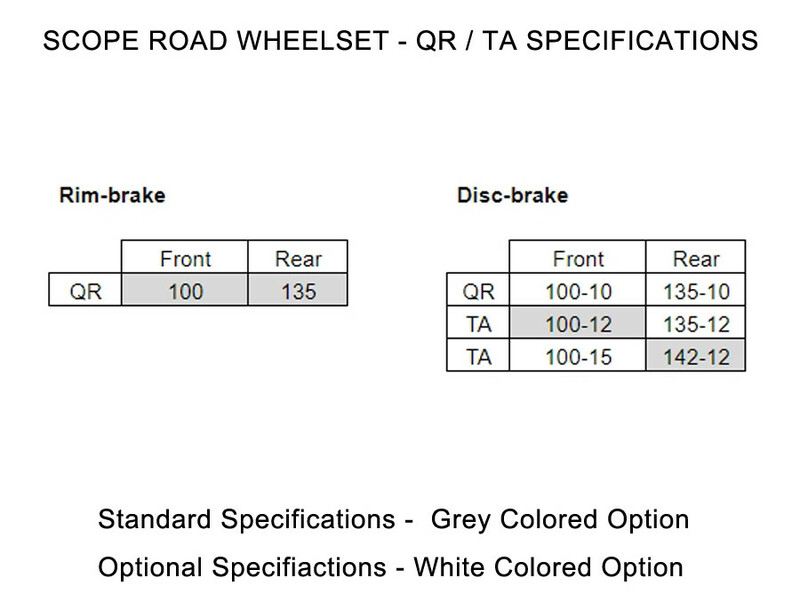 Brake Performance - Scope R5D는 Center Lock 방식의 디스크 브레이크로 어떠한 환경에서도 탁월한 브레이크 성능을 가진다. 장거리 인듀어런스 라이딩에 보다 적합한 브레이크라고 할 수 있다. Durability - hub-durability는 제조 공정의 정밀도, 실링 처리, 베어링의 위치와 크기, 베어링의 종류에 이해서 결정된다. 이러한 변수들에 대해 세계 1위 베어링 전문회사인 SKF와 긴밀한 협업을 통해서 독자적인 허브 시스템을 개발하게 된다. Scope wheels은 하나의 시스템으로 조립되는데 이는 허브의 기하학적 구조가 매우 높은 강성을 만드는데 최적화되면서 균일한 spoke tension을 유지하여 가능하다. 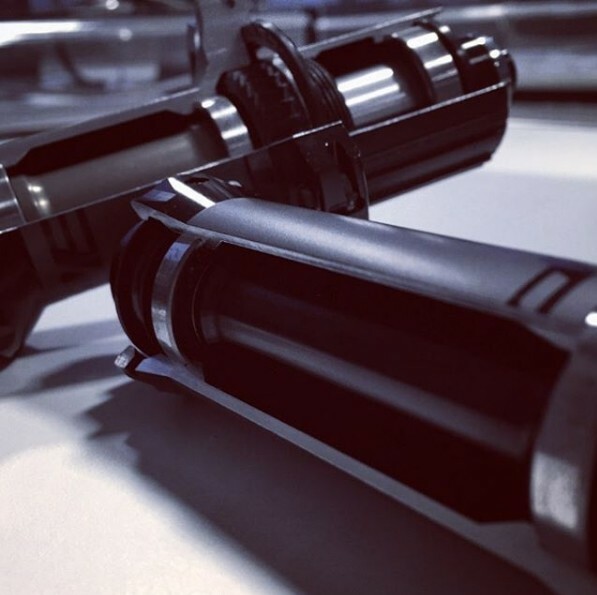 허브의 extra wide flange는 wide full carbon rim과 조립되면서 Scope wheels의 측면 강성을 강화시킨다. 디스크 브레이크에 맞는 보다 강한 CX-Sprint Spokes가 적용된다. 이러한 높은 강성은 페달링 파워가 스피드로 전환되게 한다. Scope R5D는 Center Lock 방식의 디스크 브레이크로 어떠한 환경에서도 탁월한 브레이크 성능을 가진다. 장거리 인듀어런스 라이딩에 보다 적합한 브레이크라고 할 수 있다. DT-Swiss 허브를 사용하고자 했던 원래의 계획은 측면 강성 개선을 위한 건의가 DT-Swiss로부터 받아들여지지 않음으로 Scope 독자 허브 개발로 전환된다. 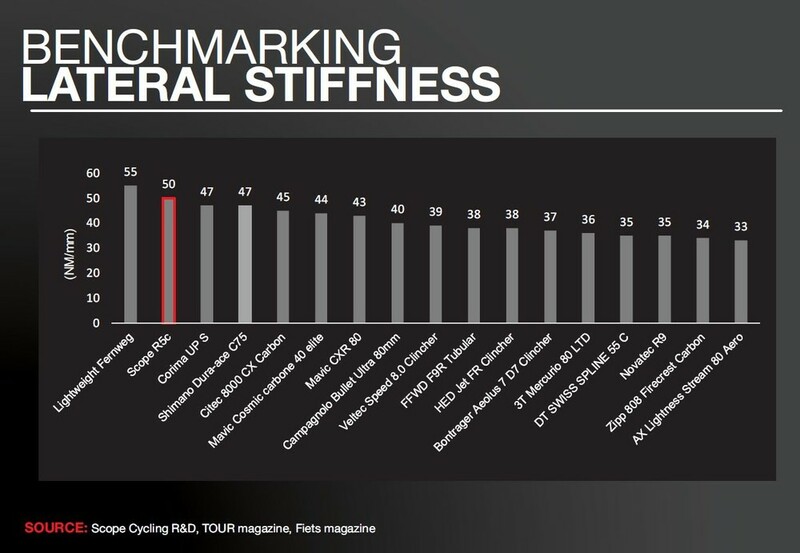 이렇게 탄생한 독자 허브는 6-pawl, 36-tooth engagement, SKF bearings (or CeramincSpeed upgrade)을 장착하게 되고 Shimano 또는 Campagnolo cassettes 대응되는 free hub가 존재한다. 기본적으로 tool-free interchangeable end caps이 장착되어 손쉽게 정비를 할 수 있으며 disc wheelsets의 경우는 tool-free interchangeable end caps의 장착으로 QR과 thru-axles standards 모두 대응이 가능하다. spokes의 압력을 지지할 수 있도록 특별한 직조 패턴을 지닌 carbon lay-up을 spoke holes 주변에 적용한다. 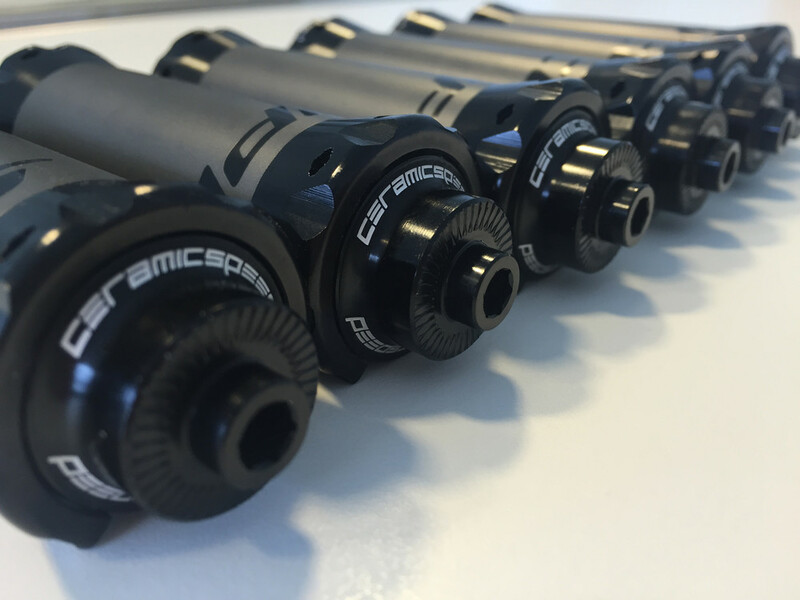 또한, spoke section을 Sapim CX-Ray spokes 보다 다소 강하여 만들어 충돌 사고가 발생할 경우 spoke가 rim보다 먼저 부러지도록 하여 rim을 보존할 수 있도록 하여 spokes만을 교체하여 다시 사용할 수 있도록 디자인되어 있다. 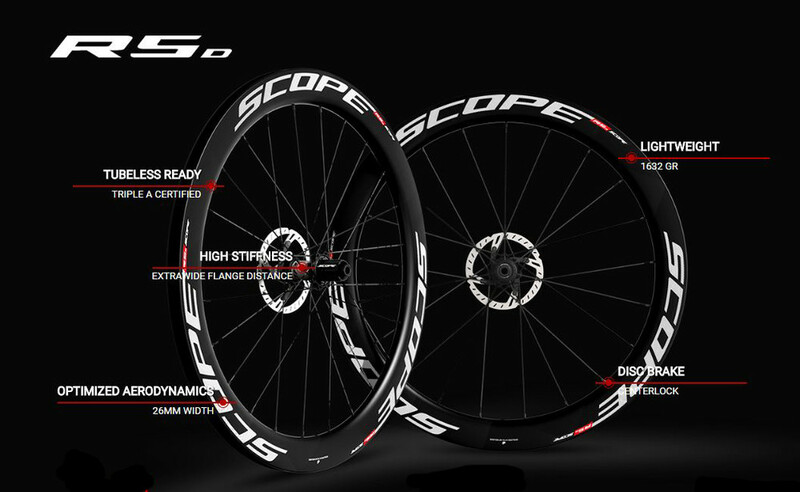 The main objective of the Scope R5 is to build up and maintain high speeds. 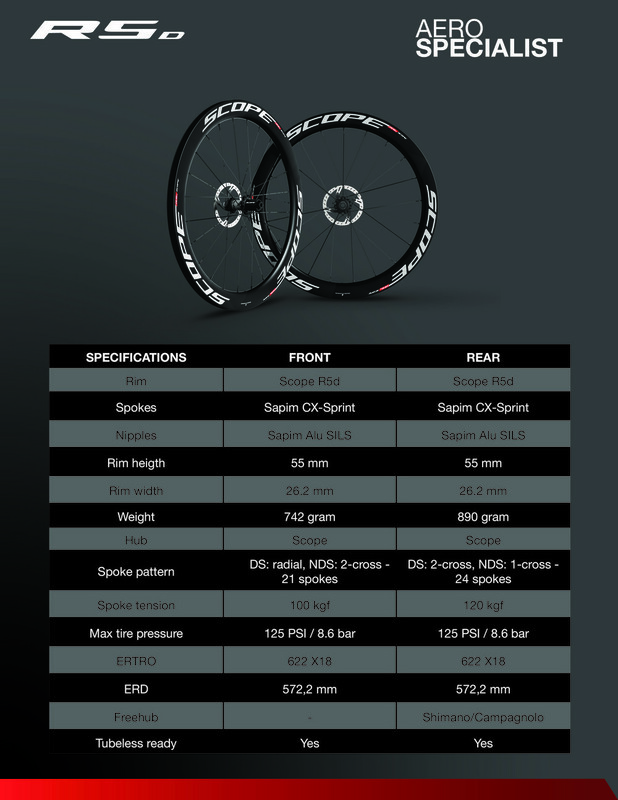 The 26 mm width and 55 mm high rim provides excellent aerodynamics, saving a significant amount of watts. 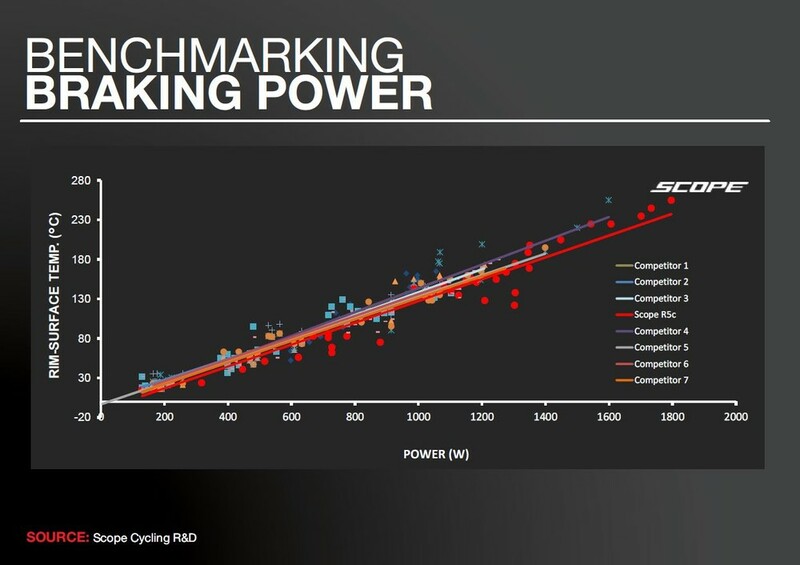 In addition, the R5 is extremely stiff, making it ideal for sprints where the bike is pushed to the limit. 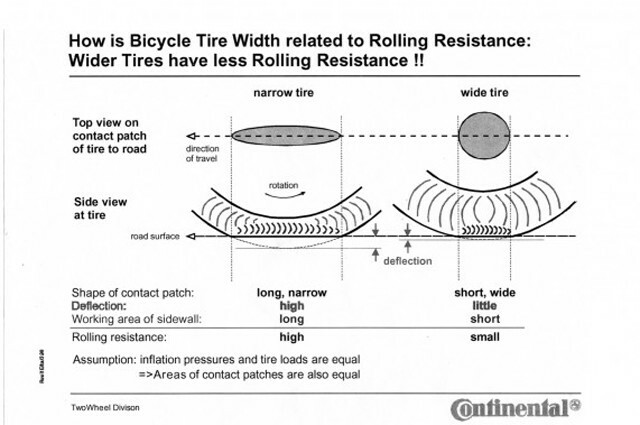 Contrary to what one might think, the R5 can also be used in cross winds due to the wide shape of the rim. 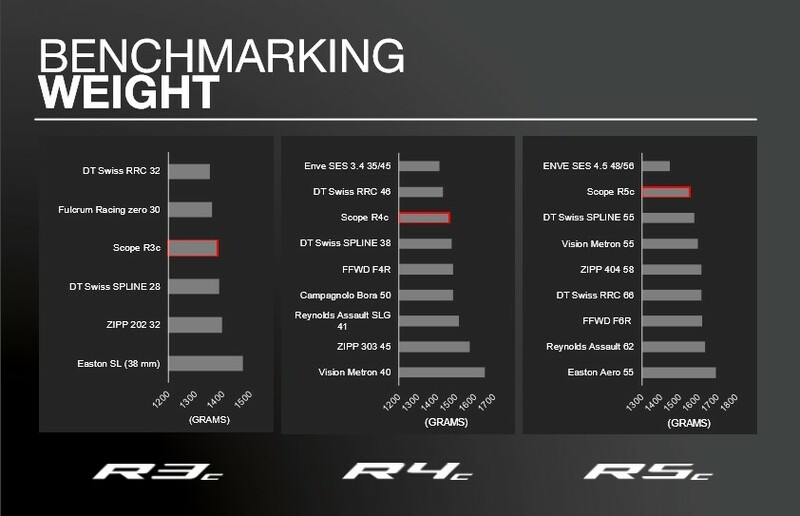 Above all, the R5 just looks great and is a real eye-catcher.